This course will give you the full range of skills you need to use your handgun effectively for concealed carry, home defense, and personal protection. It give you a level of ability and comfort with your handgun that surpasses average law enforcement and military training, even if you have never fired a gun before. 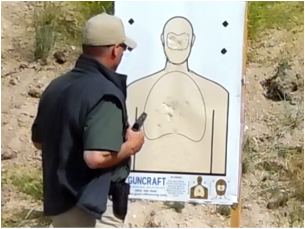 By the end of this course, you will be able to quickly, safely, and efficiently present your weapon from a concealed holster and consistently make hits on your target (both body and head shots) at ranges from arms length to 25 yards. And that's just for starters. You'll also be able to perform a wide range of defensive techniques, including reflexive malfunction clearances, reloads, escalation of force, handling multiple attackers, avoiding an incoming attack, and assessing your surroundings. Lessons on mindset, mental awareness, moral considerations, legal issues, interacting with the police, physiology and psychology, and more, will ensure that you are prepared for every aspect of self-defense shooting. If you're an experienced shooter, you can expect to dramatically improve the speed and consistency of your shooting. 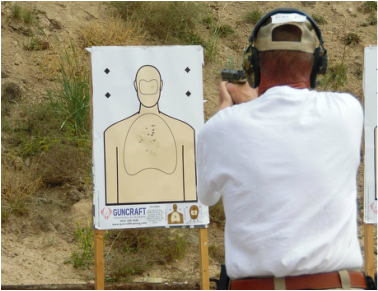 This course gives you the tools you need to reach the high standards of performance necessary to ensure success in defensive shooting, including learning to present from a concealed holster and fire two accurate shots in under two seconds. You'll also learn to bring the weapon on target from a ready position, while moving off the line of attack, and deliver hits in one second. Our hands-on course format gives you lots of time practicing, which allows you to reach an extraordinary level of skill in just four days of training. Our instructors will provide you with expert coaching, pro tips, and encouragement throughout, ensuring that you reach your own personal potential. You will also learn how to maximize the benefit of your own practice so you can continue to improve after you complete the course. You'll also spend time in the simulator, which will place you into realistic training situations that put the skills you've built on the range to the test, and will give you the confidence of knowing that you are prepared to prevail against a criminal attack. Finally, you'll take a measure of your abilities with the Guncraft Standard Handgun Skills Test. The skills test is a challenging yet fun exercise that provides you a metric of your skill set, allowing you to track your progress over time and set goals to challenge yourself and reach the level of proficiency that you desire with your handgun. "Will I really learn that much? ", you ask. We guarantee it. 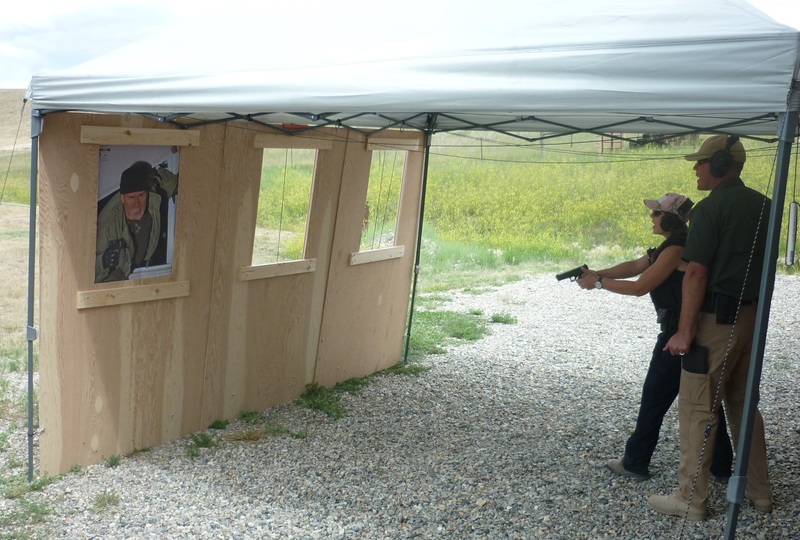 The Defensive Handgun Course is taught in two 2-day sessions, designated Defensive Handgun I and Defensive Handgun II. It is recommended (but not required) that you attend both sessions consecutively. 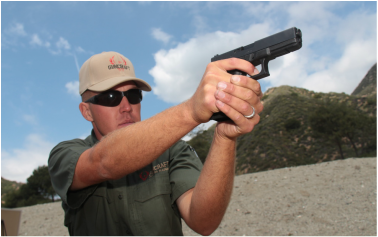 You must complete Defensive Handgun I (or an equivalent course) before taking Defensive Handgun II.